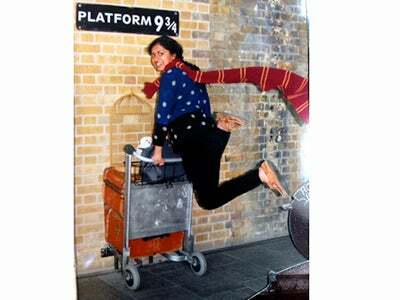 Undergraduate student Aditi Shankar blogs about studying abroad at NYU London. I already feel very much at home in London, and I’m excited to take you along with me as I explore the city and Europe at large! Hello from across the pond, all past, present and future Sternies! My name is Aditi Shankar. I’m a sophomore in Stern’s Business and Political Economy program (BPE) and also pursuing a minor in Media, Culture & Communication. Through BPE, I am studying abroad at NYU London for the entire year. Although New York City certainly has its charms (including, but not limited to: La Colombe coffee, the Highline and 24-hour printing at Stern), I already feel very much at home in London, and I’m excited to take you along with me as I explore the city and Europe at large! I’ve officially been an inhabitant of the island of Great Britain for close to a month now, and the “tourist feeling” is slowly but surely wearing off. 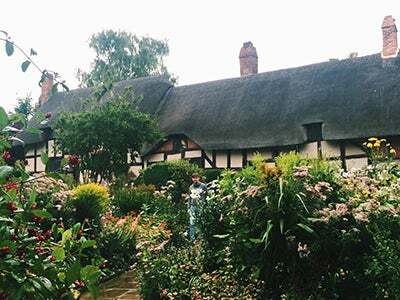 My adventure began in the English countryside as I stayed with a NYU friend for a couple days before orientation commenced. 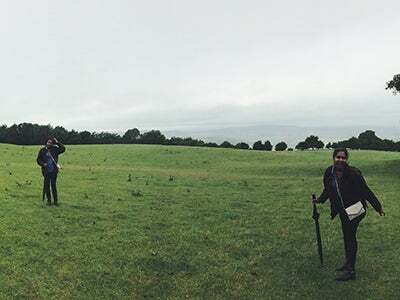 We visited the historic Anne Hathaway’s Cottage and trekked through the grassy hills of Broadway to an ancient castle with a terrific view of the country. My days in the countryside gave me a taste of quintessential British life — afternoon tea, cars on the opposite side of the road and, of course, rainy weather. After a couple of relaxing days in the country, I ventured to London for orientation. NYU London is located in the heart of Bloomsbury, the academic center of London. Coffee shops (favorites: Store Street Espresso, Knockbox Coffee) in this area are populated by UCL students penning their theses and NYU London students struggling to identify British currency (coins are very valuable here)! NYU offered sightseeing trips to various London landmarks, including Buckingham Palace, Camden Market and Notting Hill Carnival, during our mini-Welcome Week. 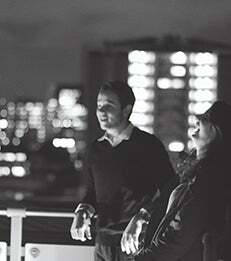 London’s extensive public transportation system makes the entire city extremely accessible. 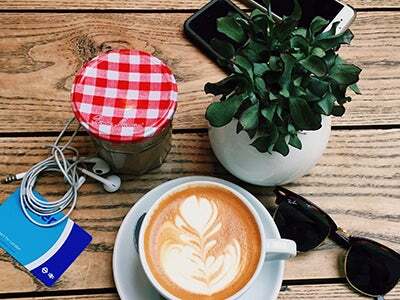 Pro-tip: Guard your Oyster Card with your life. I tried my best to explore London fully in these first couple of days before classes started — Shoreditch is now one of my favorite areas. The first day of classes always generates a sense of anxious excitement buzzing on campus, and it is no different an ocean away. 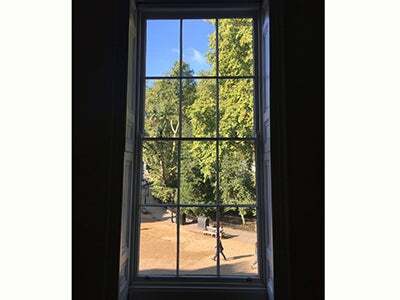 NYU London’s academic building is located in the beautiful Bedford Square. I sit next to the tall windows in every single one of my classes. I’m still not sure if the stunning view serves as a healthy or unhealthy distraction — I’ll provide an update after midterms. Unlike New York, classes at NYU London meet only once a week, but for three hour periods. I only have classes two days of the week, which leaves ample time for travel (and, of course, studying!). 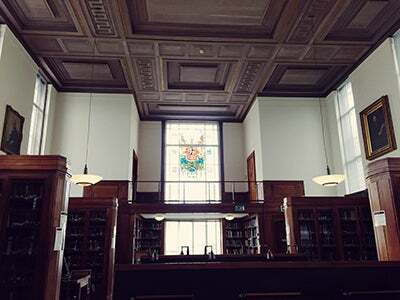 NYU London students have access to UCL’s Senate House Library. My inner-Hermione leapt with excitement when I explored the reading rooms — I can’t wait to get lost between the shelves of the Periodicals room. One of the best parts of the BPE program is that I get to travel the world with some of my closest friends. The multi-faceted major represents a true diversity of interests, personalities and backgrounds. The BPE community is chock-full of fiercely talented and thoroughly fascinating people. 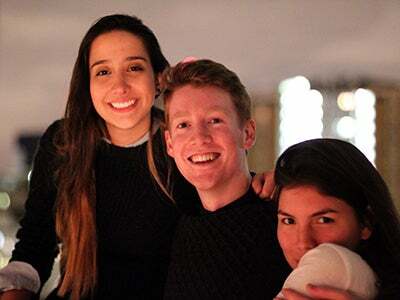 We tend to keep ourselves very busy, so it’s very nice to catch up with fellow classmates in social settings. Conversation topics at BPE get-togethers range from Israeli and Palestinian start-up culture to wagers on the Fed’s raising of interest rates (I lost that one). This past weekend, I travelled to Stockholm, Sweden with Daniella and Maeve, two fellow BPE-ers. 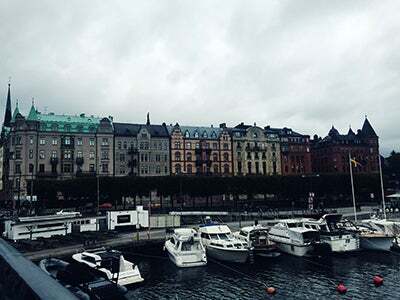 Stockholm is absolutely beautiful (albeit expensive). The city itself is built upon on archipelago of islands, and the massive public transport system includes ferries and bridges. 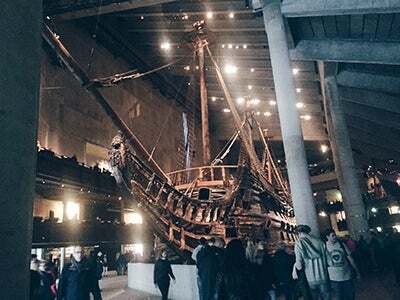 During our 48-hour trip, we visited the Vasamuseet, home to the 64-gun warship Vasa which sank in the Stockholm harbor in 1628. 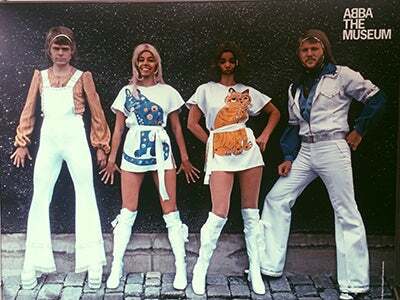 We let out our inner dancing queens at the ABBA museum and indulged in the Swedish tradition of “Sweet Saturdays” before touring the Royal Palaces in the picturesque old town, Gamla Stan. The three of us were missing University Place just a bit, and we luckily found Vapiano (a classic NYU haunt) in downtown Stockholm! As coursework becomes a bit more rigorous, I may hold off on international travel for now. 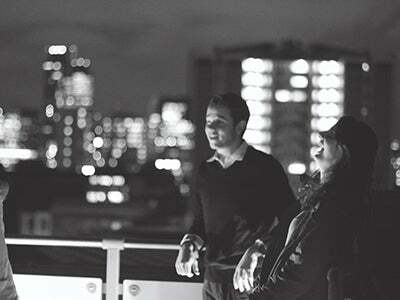 I’m eager to see what more London holds for me, and I hope to take you along for the ride. Cheers!